Janet Brooking has served as the Executive Director of DRIVE SMART Virginia since May 2005. Prior to this, she spent ten years as State Campaign Director for the Commonwealth of Virginia Campaign. Under her watch, more than $28,000,000 was raised for charity. Janet received her Bachelor of Science degree from Mary Baldwin College and her Certificate in Philanthropy from the University of Richmond. 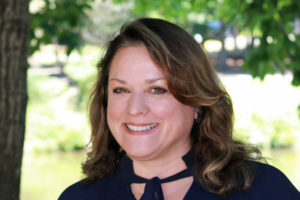 She is also a graduate of the Virginia Collaborative Leaders Program through the Institute for Educational Leadership, The Sorensen Institute for Political Leadership at the University of Virginia, and the Center for Creative Leadership. Janet’s non-profit work has included volunteering as a docent at the Maymont Nature Center and serving on the boards of Big Brothers Big Sisters and the Read Center. She is currently on the Advisory Board of Visitors at Mary Baldwin College and is past President of the American Society of Safety Engineers, Colonial Chapter. Contact Janet Brooking at janet.brooking@drivesmartva.org. Kristin Smolenski joined DRIVE SMART Virginia in April 2009. She is currently the Senior Project Manager in charge of teen driver and simulator programs. She has also served as Project Manager for Trucking Programs. Kristin worked as a Program Coordinator for Rutgers Cooperative Extension for several years, helping to provide New Jersey’s farmers with the tools to ensure their future. She graduated from Rutgers University with a Bachelor of Science degree. Contact Kristin Pettway at kristin.pettway@drivesmartva.org. Rich Jacobs joined DRIVE SMART Virginia in May 2015. 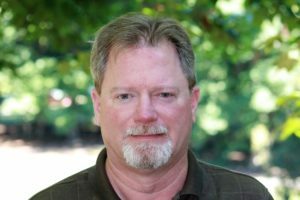 As our public relations manager, Rich is DRIVE SMART Virginia’s primary contact for the public and the media. As outreach manager, he travels to events around the state in support of our programs. Before joining DRIVE SMART Virginia, Rich was News Director for a group of five radio stations in Richmond. He has received awards from NASA, Richmond Fire & EMS, the Navy League, and has won three awards from the Virginia Association of Broadcasters. Contact Rich Jacobs at rich.jacobs@drivesmartva.org. Angelica Blanks joined DRIVE SMART Virginia in November 2016 as Grants and Operations Coordinator. She ensures the successful administration of grant funding and compliance in addition to supporting program outreach efforts. Angelica comes to DRIVE SMART Virginia with 10 years of experience working with associations and non-profits in the D.C. metropolitan area. Most recently, she served as Member and Leadership Director at Quota International, a service organization targeting underserved women, children, and the deaf/hard of hearing. Contact Angelica Blanks at angelica.blanks@drivesmartva.org. 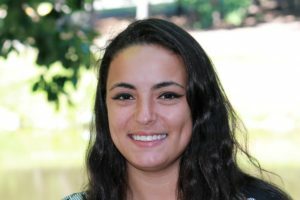 Erica Medina joined DRIVE SMART Virginia as an outreach volunteer in April of 2016 alongside members of her cheerleading team while studying at Virginia Commonwealth University. She has since graduated the School of Humanities and Sciences with two degrees in Spanish and Political Science. 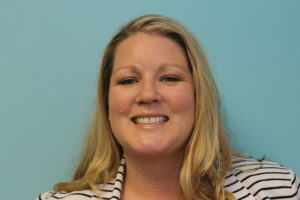 Erica currently works as our Strategic Partnership Coordinator charged with strengthening DRIVE SMART Virginia’s marketing opportunities and partnerships, including the Virginia Coalition for Safe Driving. 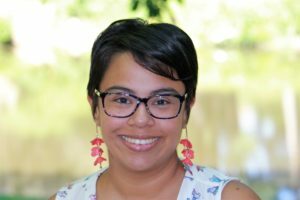 Before working with DRIVE SMART, Erica volunteered as an interpreter for Spanish-speaking parents with Higher Achievement’s Richmond chapter, an organization that provides afterschool and summer academic support for at-risk youth.